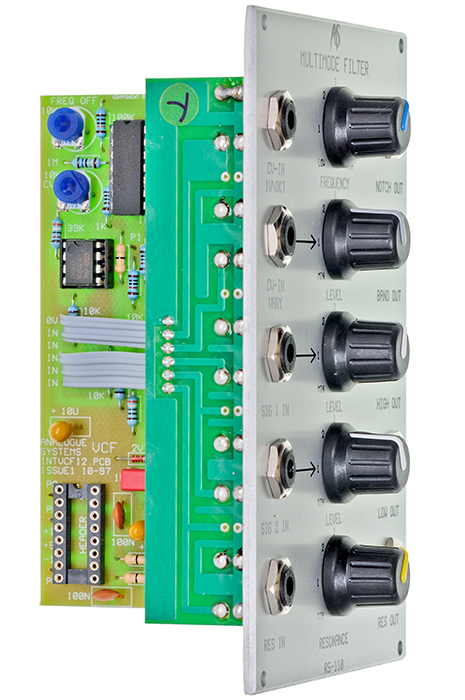 The module has two audio inputs, each with a level control. "unity gain" is reached at position 4, beyond this the signal will be overdriven at the filter input. The cutoff frequency can be set manually in a range of 30Hz to over 15kHz, with additional CVs even up to 50kHz. 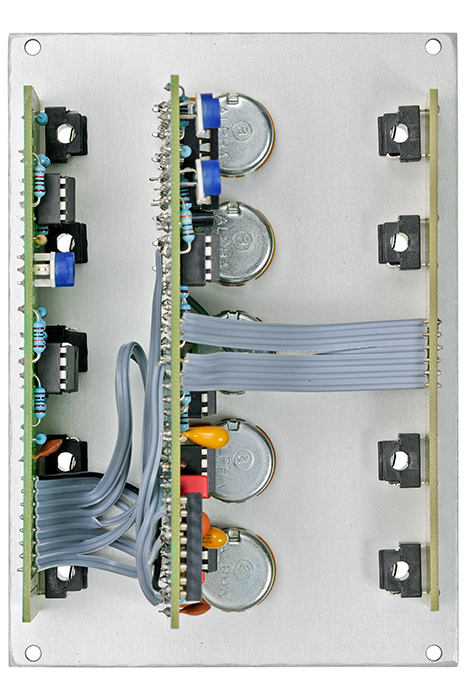 Separate audio outputs for the four filter types are available: 24dB low pass, 24dB high pass, 12dB band pass and 12dB notch. Resonance goes up to self-oscillation and besides that it offers an unique feature: the socket Res-Out and Res-In act like an insert i.e. they allow you to process the audio signal in the feedback loop by other audio processors like filters, distortions, delays, frequency shifters etc. You get very wicked results when you connect the notch output with the resonance input. 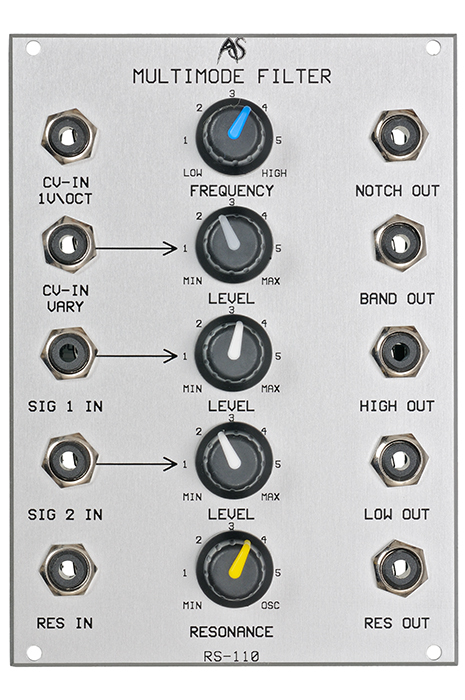 It sounds very metallic and the filter behavoiur gets more aggressive. 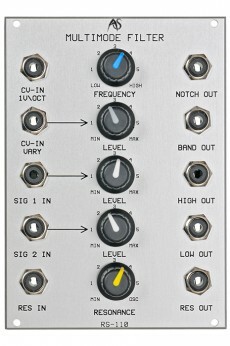 Generally it is fun to cross-connect the separate outputs with the CV and audio inputs and to use the filter in a modular way.